I buy too much clothing. Too many tops, too many pants, too many pairs of shoes. I don’t wear them all, and when I have a cleanup spasm, I end up giving away the excess to whichever charity clothing drive calls first, looking for donations. Some of the items I donate probably get resold at thrift shops. Some is given away. Some of it may even make its way to clothing recyclers, who break down the textiles and use the fibers for new garments or textiles. I’m recycling my clothes as fast as I can. But I fear that too much of it—stuff that doesn’t get sold, stuff that’s too worn out for anyone to buy–will end up taking up space again, not in my closet, but in a landfill. It turns out that my fear is justified. According to National Geographic, clothing and household textiles, consisting of fabrics such as cotton, polyester, nylon and rayon, make up almost 5 percent of the total garbage in landfills. In North America, approximately 12 million tons of textile waste is generated each year—amounting to about 68 lbs. of waste per household per year. According to Soles4Souls.org, 300 million pairs of shoes are thrown away each year. The reality is that a lot of clothes are going to end up in landfills, despite efforts to the contrary. So, a handful of manufacturers are developing biodegradable garments that will at least not make things worse. Puma, for example, has announced plans to produce a biodegradable sneaker. According to the company, the sole of the sneaker will be made of biodegradable plastic and the upper of organic cotton and linen. After going through a shredder, it could become compost in six to nine months. 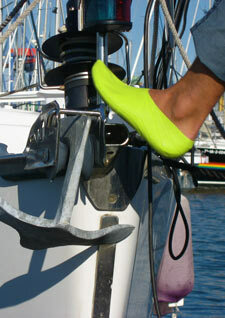 Another environmentally conscious company, called O1M One Moment, has begun marketing an innovative, multi-use shoe made of latex and other 100-percent-biodegradable raw materials. 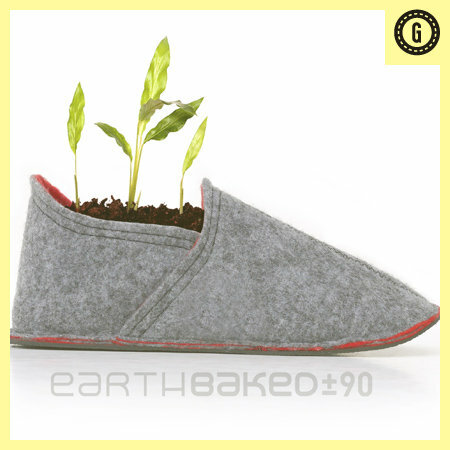 Materials like wool and natural rubber make up the shoe and are intended to enrich the earth when properly disposed of. Wool is a naturally sustainable material because it’s soft, antimicrobial, breathable, moisture-wicking, water repellent, and durable. Once wool is introduced into soil, it works as a slow-release fertilizer. With a little heat, moisture and time, the fibers break down and release valuable sulfur and nitrogen into the soil. Finally, Icebreaker Merino offers a line of earth-friendly outdoor wear made from the wool of New Zealand’s merino sheep. The company demonstrates the biodegradability of their products in a video, in which a t-shirt, buried for six months, is unearthed—well, what’s left of it. It’s an excellent object lesson in the advantages of biodegradable materials for clothing. They’re more expensive than the crap I usually buy, don’t wear enough, and donate. And if I buy them, my thrift shop truck-driver buddies won’t love me anymore. But if I can force myself to think longer term, they could be worth the price.